Railway track infrastructure is a complex system consisting of various subsystems which require incremental maintenance from all engineering disciplines; all of whom are competing for the limited time and number of available maintenance windows. The constant demand for higher traffic volumes, increased train speeds and heavier axle loadings all result in an exponential increase in maintenance requirements but the time available for maintenance is as a result even further reduced. This requires a more scientific lifecycle approach to infrastructure maintenance management. It also requires increased performance from mechanised construction, maintenance and renewal machines to keep the infrastructure reliable, available, maintainable, affordable and safe within the short available maintenance windows. 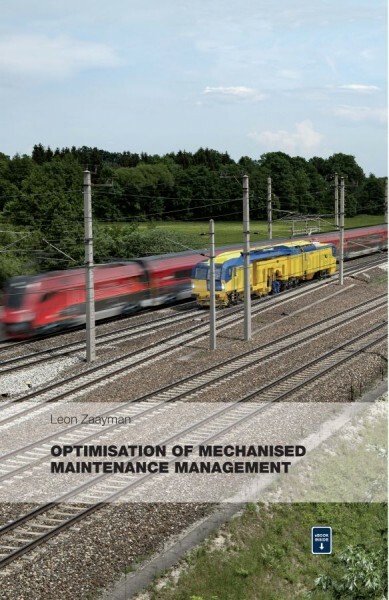 The objectives of this book are to address the optimisation of infrastructure maintenance management and to provide a model with selection criteria for maintenance machinery and their features for the prevailing circumstances.